I'm predicting Fox's Magic: The Gathering movie will essentially be a live-action version of Yu-gi-oh! We've seen movies based on video games, board games, and even children's toys. So what's the next logical step? According to Fox, it's a movie based on the Magic: The Gathering card game. The Hollywood Reporter writes that Fox has just closed a deal to acquire the screen rights to the collectible card game from Hasbro. Reportedly, it will develop the franchise to the same level of mass-merchandise-mania that Harry Potter and The Lord of the Rings saw before it. Simon Kinberg, Producer on X-Men First Class, will be in charge of Magic: The Gathering's film adaptation. He will also be in charge of any subsequent movie installations, and will liaise with both Hasbro and Wizards of the Coast. 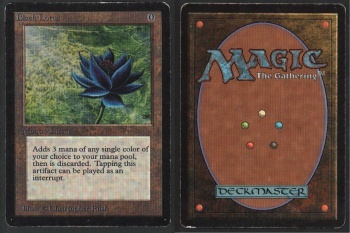 Magic: The Gathering was created in 1993 by Wizards of the Coast. It's popularity soared, and it was eventually acquired by Hasbro in 1999. Magic arguably started the whole card-game craze, which lead to card-game adaptations of popular franchises (such as the Pokemon Trading Card Game), as well as entire franchises built around a card game (such as Yu-gi-oh!). I'm not sure what to make of this. What would a Magic movie even be about? Would it eschew the actual cards and simply be about the "world" of of the game, or would it be about a young rookie Magic player fighting his way to the top?